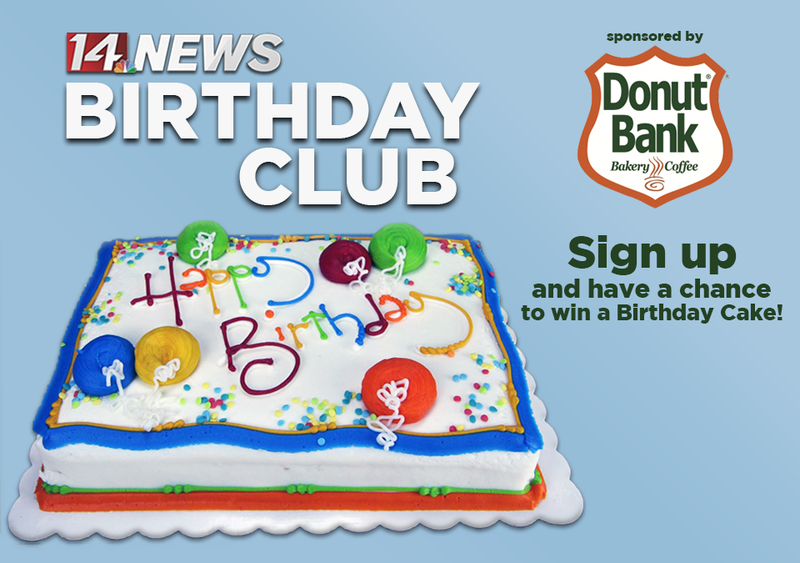 Join the 14NEWS Birthday Club! Sign up and have a chance to win a Birthday Cake! Please submit at least 48 hours in advance to allow processing time, thank you!